Rated 5 out of 5 by cutespam from Spirits of Mystery - The Silver Arrow Collectors Edition I really loved this game and my only issue was that it wasn't long enough - I love the graphics of these games and the set up. Can't wait for the next game to come out! Rated 5 out of 5 by skborneman from The Silver Arrow This is once again a Prince and his soon to be Bride, so much fun and a game you can play with your children and have a family night playing, love these types of games. I love the animals in this game, And again a true fairytale, which is enjoyable to me. Will play this game over and over again. The graphics are so pretty, The evil one is doomed !! Hey that prince is nice looking also !! lol lol, Go ahead and play this game, a true classic !! I played in easy mode then you can challenge yourself at any point, liked the fact you had the option of a more challenging puzzle if so desired. This is a true hit in my book and thank you once again for a very enjoyable afternoon. 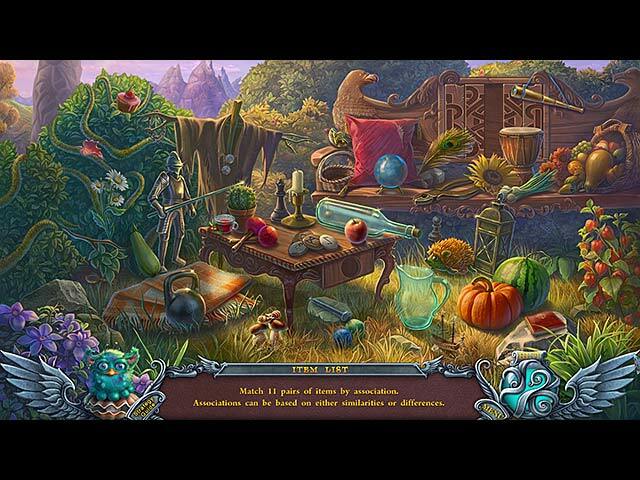 Rated 5 out of 5 by farmguys from This one is a must have Another great game from BigFish for the hidden object fans. Rated 5 out of 5 by cherleadford from Wonderful Game I have never been disappointed in this series. I played the demo and enjoyed every minute of it. There is plenty to do and I was not bored at all. The puzzles are not real hard, the graphics are beautiful and enjoyed the voice overs, did not find them irritating. Enjoyed the music also. All in all it is a very relaxing game to play. I believe it is worth the CE price. Rated 5 out of 5 by pennmom36 from LOOK OUT! There's Silver Arrows Flying Everywhere Apparently when the Prince is looking for his bride, he shoots a silver arrow into the sky and whichever fair maiden's window it lands in, he is to marry her! Let's hope everyone get's this memo and stands clear, and what happens when it lands in the window of say a knight in shining armor? Anyway this is a great sequel with beautiful graphics and lot's of exotic animals including Romas a lingbeast that can interpret any language, human or animal. There are hidden pearls to collect of which can be spent to clean and repair the castle tower, and achievements to earn as well. The HOS are a hodgepodge mixture some of which are items to be returned to their proper place in the scene others are finding items that match the silhouetted shape in the inventory bar and then using those items to interact with other items in the scene which will expose the next item and so forth, All of the mini games are designed to be doable yet entertaining such as swapping hexagon shaped tiles or rotating tile to complete a picture. 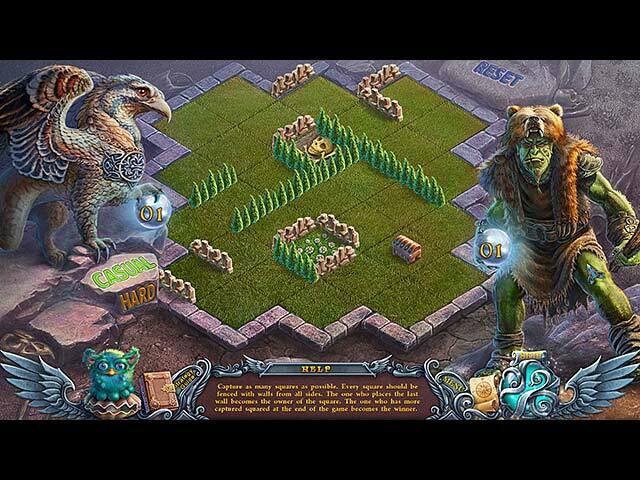 This is one of those professional, well produced fairy tale fantasy games and a Big Fish Keeper, enjoy! Rated 5 out of 5 by MSBAM100 from Recover the arrow, marry the handsome prince! This is the fourth in the Spirits of Mystery series by ERS, and it certainly doesn't disappoint. You are the Princess, and Prince Phillip shot his Silver Arrow into your window to declare you his bride to be. Unfortunately, evil Mortis hired the evil sorcerer/shapeshifter Basil to steal the arrow so she can marry Phillip instead. You and Phillip have 24 hours to recover the arrow from Basil, or else Phillip must marry Mortis! Basil takes the form of a panther, and is so mean he hurts your dog and best friend Sky. But your nanny gives you your great-grandmother's recipe/potion book which luckily contains a healing recipe. All you have to do is find the special room in the tower where granny concocted her medicines! Along the way, you meet up with Romas the bird-like lingbeast, who is a master of all languages, even animals. He helps you talk to Sky, and eventually you heal and bandage his hurt leg. Roma also lets you talk to termites who want a tastier tree -- and you just so happen to need them to chew one down for part of a bridge. Hooked yet? This is a fun adventure with both mini-games and HOS. The HOS are NOT lists - at least in the demo- but "place the item in the picture" type, or silhouettes of objects that interact with the HOS to get the next object. The mini-games are unique -- fill a cup with water while figuring out where the water stream will go next. None are too hard so you don't have to skip or even use a hint -- which of course gets you an Achievement! The achievement trophies seem to be wedding related - a nice touch. And then there is the Tower -- instead of collectibles, you find pearls that translate to money, that lets you clean out and repair the tower, and eventually decorate and furnish. You can remove spider webs, moss, repair holes in the floor and the walls, etc. Kind of fun! There is a Strategy Guide which I haven't needed, a quick refilling hint button, an interactive teleporting map with activites marked - depending on if you choose Casual, Advanced, or Brave Princess mode - and a locking inventory. There are the normal parts of a CE - wallpaper, music, bonus game, etc. I don't think the developers missed one thing in designing this game. And the prince is very handsome! A definite buy for me. Rated 5 out of 5 by ilammie from Spirit of fun! (Based on the demo) I found this Spirits of Mystery to be a lot of fun! As with the others, it's beautiful, the pace is appropriate, and you get to collect some cute little animal friends along the way. The puzzles are not standard HO, and there are lots of little mini-games. I found the map helpful, and it's always nice to have a strategy guide available! I purchased the game after playing 30 minutes of the demo. Rated 5 out of 5 by pcpat923 from The Silver Arrow - Fairy Tale with a Twist Enjoy all games from these Developers. More a girly theme, handsome prince shoots an arrow into the window of his chosen bride-to-be and hopefully, not into the fair maiden. You are the chosen bride, yet, circumstances are not so easy and you are going to have to match wits with a villain. Gamers of all ages and gender can enjoy a relaxing gameplay, entertained with bold and detailed artwork that is lavished upon us loyal BFG players. From Steve the Sheriff, to Haunted Legends, Redemption Cemetery, Dark Tales, Phantasmat, Reveries, Gothic Fiction, Maestro etc., there is a game for everyone. What's not to like? However, would like to see more of a modern day backdrop rather than magical and mystical for gamers to relate. We don't have potions or spells to help solve our dilemmas although I have been accused of being seen riding a broom. Obviously, that is something that comes with age and playing too many BFG Games. Enjoy! -Mama Mia- Happy Holidays to BFG Gamers! Rated 5 out of 5 by biscuitsmama from Will Love Triumph? Today is a very special day - one that will finally unite you with your love. Following tradition, Prince Philip must shoot his silver arrow into the sky so that it will find the window of his intended bride. If luck, the fates, and perhaps some skill are on your side, the silver arrow will land in your window and tomorrow you will return it to Prince Philip at your wedding. You are indeed the chosen one since the silver arrow has found you. Ah, but alas, there is an evil sorcerer at work who will use his powers to see that someone else becomes the prince’s chosen bride, and as soon as the arrow lands in your room the sorcerer, Basil, appears and steals it from you. Now you and Philip must work to retrieve the arrow so this is where your adventure begins. ERS – what more needs to be said about the graphics! The development team at ERS was the first to bring us lip-synced voice overs with their Shadow Wolf series many years ago and they have continued to bring us some of the best sound packages possible with their games. Now I need to ask “what’s going on here?” I get the distinct feeling that this is a twin to another game in the Spirits series and that maybe ERS started out with a story in the previous game but changed tracks and left this one sitting on the shelf. The bunny team has definitely recycled the artwork and characters, and that’s not a problem for me but it does give the game a stamp of déjà vu. We know that Mortis has been hanging out for centuries along with nanny, the prince, and the sorcerer whose name has been changed to protect the not so innocent. So, back to the current game where you have a diary that contains story notes, your objectives and a section that includes the various recipes you will need to concoct during your adventure. There is an interactive transportable map that indicates where you have objectives to complete. Early in the game you receive a gift from your beloved, a critter called a lingbeast, who seems to be a furry version of Dr. Doolittle who can speak to the animals. There are various types of interactive HOS, including those where you must replace items into the scene, the progressive silhouette, and the old standby - find the matching pairs by association type. What I didn’t encounter during the demo was the standard list type HOS. I also didn’t see an option to skip the HOS which is something we have in some of the newer ERS games, again more proof that perhaps this game has been on the shelf for a while. Although some of the puzzles seem fairly standard with nothing exceptional or too different, some can be tricky. The puzzles I did run into, although not overly difficult, did have some challenge. Throughout the game you will find pearls that translate into coins that can be used to repair the run-down tower that you’ve inherited. The remainder of the CE content is standard fare with nothing exceptional in the package. Well, no bones about it, ERS is my favorite developer and they have yet to make a game that I don’t like. Every game they bring to market is ultimately very enjoyable. Yes, some of you may find that they are predictable but I still find their games challenging and full of great gameplay. The imagination that the ERS team brings to their games is what keeps me coming back year after year. Not all of you will agree, but I hope that you will at least give the demo a fair shot to see if this is a game you might like. Rated 5 out of 5 by 43Colorado from Magical Mystery Journey! Find the Silver Arrow to Marry Your Prince! This is the fourth game in the Spirits of Mystery series from ERS. Each game involves the next generation of Princesses and their journey to undo evil magic and put things right in the kingdom. This time your Silver Arrow of Betrothal has been stolen by an evil mage named Basil and you have one day to get it back. Your love, Prince Philip, and a cute fuzzy creature named Ramos, who can speak any language including animal languages, are there to help you out. I really enjoy this series. Yes, it's the princess must save the kingdom story again, but no one does it better than ERS. They really know how to make a fairy tale beautiful, unique, and fun to play. Each game has a new heroine and new challenges to overcome. I find the games enchanting and great for all ages. To begin, the graphics and artwork are unsurpassed. Just gorgeous to look at with tons of detail in each scene. I love the look of this game. This CE has achievements to earn and colored pearls to collect. You have a Tower you get to renovate and decorate---the pearls help you pay for this. The journal is better than average. Lots of good story background which really adds to the game. The journal also contains magical recipes you use to create potions that help you solve the game. I recommend you take the time to read the journal as you play: it will really add to the experience. The HOSs are silhouette and place the object types. The puzzles are of medium difficulty. There's also an interactive map to help you move quickly through the game. This is a fun and beautiful fairy tale for the whole family to enjoy. Buy it! Rated 5 out of 5 by possumb from The arrow of love - lost I love Ers Game Studios' games. And particularly the Spirit of Mystery series - I was first captured by Amber maiden and been hooked ever since. The story line is exciting but what makes this game more rewarding are the extra elements - fascinating pearls [Philip/s home is Pearl dominion] and the variety in HOS. The picture quality is perfect, the characters beautiful/scary/touching/ sweet - take your pick. The hint button works wonders - I love this game which I just started, But, from past experience I know I will not be disappointed - and neither will you, dear reader. Rated 5 out of 5 by sassylassie from Another awesome one by ERS Well another superb game by ERS our bunny team. The voices are done are done superbly. They couldn't of done a better job getting the voices to match with the characters they are portraying. Right from the beginning I felt it made you want to play the game to see what happens next. The collectibles in the game are pearls which you use for your tower to tidy it up, furnish and decorate it. I think it's cool and a different concept :) Story: Well the man of your dreams you had your eye on since the beginning wants to get married and he believes in the fate of his silver arrow that it will find the bride for him. (I guess back then men didn't believe in courting). Well the arrow was meant for you but some shapeshifter was hired by another woman to steal the arrow from you. The other woman couldn't come herself? What a wuss! Now you have to go on your journey to get the arrow back so you can marry the man of your dreams! Graphics: Simply awesome. I would love to see a pic of these artists. No flaws what so ever in their artwork. I love the vibrant colors, especially the one who drew this Prince, Dupin and some other male characters. They may be young enough to be my sons, but the eye candy. Music: Fits beautifully with the game. Mini games: Just right for me. Just the right challenge. Hint System: Works well in and out of H0G scenes. Map: It's a jump map that has the 'arrow' for you are here, the 'exclamation point' for something to do there, and the 'checkmark' for area completed. I look forward to playing the rest of the game and see what awaits our Prince and Princess. What evil that shapeshifter has in store for us since that other woman can't do her own bidding. To me this definitely 5 stars plus. Kudos to the team! Rated 4 out of 5 by rosekaufmann from GOOD FAIRY TALE SUMMARY: [Keeping short because others have gone into the details of the game.] Terrific sound and special effects. Nonlinear fairy tale. HOS are "place the objects" into the scene. Objects are found near where they can be used. Map with pending activities shown. Outstanding graphics and artistic extravagance, with very good color palettes. Lots to do in this mostly adventure game. Nice storyline. Well thought-out gameplay. CE has the usual enticements. Rated 4 out of 5 by DragonsBayne from Chasing Love I started to play the SE trial version first but had a friend who had bought the CE so played that version. Honestly, I would stick with the SE version. The CE has your typical wallpapers, strategy guide, etc.. The bonus extra story doesn't really add on much for it to be worth the extra money. And once I play a game I really don't want to go back and replay the mini-games and HOG's again (which each are unlocked after you encounter them and can access them from the extras menu after you beat them in the chapter), which is included in the CE as well. Story: Well it's your typical you meet the prince and it's instantaneous love at first sight! As if that story hasn't been used before right? Well even though you've met him and you both have fallen in love, there is a hitch. Of course, there is. Supposedly through tradition the prince has to shoot a silver arrow into the sky and whose ever's window in lands on or flies through is supposed to be the next queen. Well of course it lands in your window but some shapeshifting sorcerer decides to steal it from you for his client who is bent on being the next queen to fulfill her dastardly deeds of evil. Now that presents a problem because according to tradition, the person whom the arrow chooses is supposed to present the arrow to the prince at his castle so that they know that you aren't lying...? Which is what this lady was planning to do but everyone knows she's not the one the arrow chose anyways.... (wait did I miss something here?) So no one thought that just offing off the chosen lady or stealing it from them would be another way to lie? But in this story the prince and everyone seems to know that the arrow didn't chose the evil lady. They all miraculously know it chose you. So if that's the case what was going to happen when your nemesis presented the arrow? Sorry I don't mean to degrade the story and make it sound that bad.It does keep you interested enough to want to see what was going to happen next. I did play it all the way through. Sound: I don't play with sound because I play late at night and I don't want to disturb my husband who is sleeping. Graphics: They were crisp and clear. Some things looked realistic up close or far away. It is what I would expect from a fantasy romance. Gameplay: The HOS were fairly easy. I didn't have to use any hints. You had shadows of items that you had to find within the scene or you had to use to complete items in the scene.Nothing was too small to see though sometimes I think I clicked a couple times to get an item or put an item in the right spot. So that was a bit buggy at times. The mini games were easy as well. A few consisted of moving obstacles on a board so that you could put items in appropriate places. For example, one puzzle had 4 sea life and their homes (such as a clown fish, pearl, clam shell, sea anemone, hermit crab, starfish, hermit shell, and coral) around the board. The homes were in static places with obstacles around them. You had to move the sea life around the board either left, right, up or down with arrows. The trick was to use these sea animals to help you get other sea animals into their homes, but it wasn't easy because you could get two into their homes within two moves but then you would be stuck with the other two just going around and around the board with nothing to run into. The most common puzzle was the portals you had to get through to get to another area. You had to find between one and three pieces that were missing from the door and then click on them until they were in the right areas. Basically you had pictures of like a deer, ship, sand etc.. and you had to make sure they matched the forest, sea, desert and such. Overall, I'd get the SE version. There are better HOG's out there, but there was still something to this game that held your attention and wanted you to keep going to find out the ending. After reading some of the other reviews I was like nah I'm not one who'd want to keep playing after reading some of the lower starred reviews but I did exactly that. I felt like no my hour can't be up! So glad I had a friend and "borrowed" from them. Rated 4 out of 5 by Little_Selkie from SQUEAMISH PLAYERS BE WARNED!!!! Normally when I write reviews I try to cover all of the basics without giving away anything in the actual storyline. And no, I would be no true Big Fishy if I let any spoilers slip out. Just be warned, this game is surprisingly up close and personal with injuries and wounds. Now, most games when an animal or person gets hurt, not much is shown….and this game was very open about showing injuries. Within the first few minutes of game play, your beloved dog is attacked, DISLOCATES HIS SHOULDER and lies there crying in pain while you race around to find items to heal him. You have to wrench his little leg back into place! And later, a bear has his leg caught in a trap, and you not only free him, you stitch his bloody wound shut while he cries out in bear whimpers of pain. And those are just the first two instances in the first hour of gameplay! The graphics are beautiful and crisp, they remind me somewhat of Dark Parables and a bit of Nearwood style. Voiceovers are nice, the game has a great length for the main game I thought, about 5 hours give or take. I just…I liked the game. I did…but for anyone who does not like animals hurt or crying or whining or open wounds on cute loyal critters….give this one a pass maybe. Or at least gear yourself up for it. I was completely unprepared and had to turn my sound off at least a couple of times because animals and bodily harm do not do it for me. I half-expected a Sarah McLachlan song to start playing when my dog lay there injured and in pain… I just didn't like it. I do better when people are hurt in games, weirdly enough. So yes this game was another ERS classic, in style, storyline, and HOPA. The HO's were great fun especially and the little details in the game were great. But for anyone who is kind of squeamish (like myself)…maybe try the demo first? I am torn between the rating…but I am giving it a four because without the critter gore, it would be an awesome game to settle down and play. Happy gaming, Big Fishies! Rated 4 out of 5 by Jayce69 from Great little game Wish it had been longer, but it certainly was an interesting game! I would suggest this one to anyone. They don't rely on dark screens to hide objects in the HO games. Everything is light and bright. I also like that some of the sections in the HO games you had to do other things besides just find things. I can do with or without that feature though so no extra points for it. Had there been a few more HO games, I'd have given this a higher rating, or maybe if the game just lasted longer. Always sad when a game is over with within 3 or 4 hours. Personal score for this game is based on a 10 star system. And I'd give this 8.5 stars. A little more difficult, a little more HO games, and for it to take a little longer... it would be a 10. Rated 4 out of 5 by Torpedo1 from All Is Magic Great sequel. Totally was immersed from the start. Great critter action. Nice HO's. Beautiful scenes a handsome prince who even shows up to save you. Hearts a flutter this game was fun. Rated 4 out of 5 by carb7250 from Nice Nice storyline, keeps you motivated to keep playing. Good work on the visuals too. Rated 4 out of 5 by judeejuju from A good sequel I have played the other games in the series and enjoyed them and this was as good. A variety of HOs and well spaced. Puzzles not much out of the ordinary but still fun. Good length of game play and good bonus chapter. I Love this type of storyline and thats what does it for me...magic and mystery... Cute animal helpers....a happy ending...pure escapism! Rated 4 out of 5 by LunaNik from Spirits of Mystery is back! (Pay no attention to the Dark Minotaur behind the curtain.) 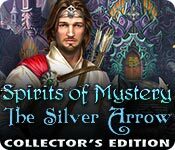 Spirits of Mystery: The Silver Arrow Developed by ERS (Produced by Big Fish Games) Collector's Edition Review based on full game IN THE BEGINNING... The Crown Prince of the Pearl Kingdom is required to let Fate select his bride. He shoots a magic Silver Arrow into the sky and it flies through the window of the one destined to be his Queen. Fortunately, as the Crown Prince is your love Philip, the Arrow chooses you! Unfortunately, the evil sorceress Mortis is back and up to her old tricks. Her minion steals the arrow as part of her nefarious plot. Now it's up to you to get the crucial magic Arrow back, not only to save your upcoming wedding, but also to keep peace in the known world. In the bonus adventure, you must stop Mortis from opening a portal between worlds and freeing Isa, her old love and your nemesis. PLAY THE GAME... Lots to do in adventure mode…much to collect and interact with. HO scenes vary in type: silhouette, sequential silhouette, return objects, find matching pairs. Puzzles vary from simple to somewhat difficult, with most being variations on familiar puzzles. A few have customizable difficulty settings. There's also some use of animals in lieu of tools (but you then use the actual tool later on…a bit strange). Lastly, you have a blue creature that resembles a Furby who can translate any animal language for you. SIGHTSEEING… The graphics are more detailed and less pastel than ERS' usual fare which, I hope, means they're stepping away from their signature washed out look. Animation is typical for this series, hand-drawn and a touch stilted, but not awful. SOUND WAVES… The music, thankfully, was not THAT music. Although I did cringe a few times on hearing those high-pitched violins, which I wish they'd stop using. Game sounds were appropriate and voiceovers were done well. TOOLBOX… The map indicates objectives and completed tasks, and transports. The journal tracks the story, holds clues, and lists the current goals. Inventory is lockable and functional. EXTRA, EXTRA… There's the bonus adventure, of course, with some new areas to play. The revisited areas contain new items and tasks. Collectibles are multi-colored pearls with which you can repair, remodel, and furnish your tower. You can replay both puzzles and HO scenes. And there's the usual offerings, of interest mostly to artists and budding game designers. THE LAST WORD… The Silver Arrow is one thousand times better than The Dark Minotaur was, and is a worthy addition to the Spirits of Mystery series, hearkening back to the first two games in quality, enjoyment, and immersion. The main adventure does end conclusively, but the bonus adventure was lengthy and interesting—not at all an afterthought—and gives additional closure. Rated 4 out of 5 by honest2 from Enjoyed this game This game was good-it ran quite smoothly. A couple of the scenes were a bit blurred but overall enjoyable. Like games with fantasy/fairytale feel. Would have liked a bit more colour . Enjoyed the Tribble talking to animals. Like portholes. Mini games were a bit repetitive. 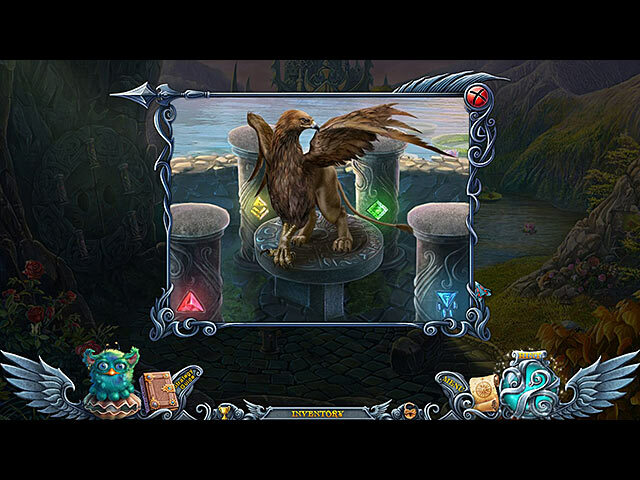 Rated 4 out of 5 by 53_model from Good addition to Spirits of Mystery This is another good game with lots to do, items to pick up and puzzles to solve..HO's aren't very hard and like the idea of piecing together different items to get to the one you need..Puzzles are good, not too hard..Visuals are very good as expected..Storyline is good, but (only my opinion) has been worked over, time and time again...All in all, still worth playing for any level.. Rated 4 out of 5 by Captain_Snake from Worthy sequel, but still needs some work. I really, REALLY liked Dark Minotaur and was excited to see how this one would turn out. I was expecting some cute, as ERS is now following this trend, but it's a fantasy game. The storyline is pretty easy to figure out, you need the Silver Arrow to marry your prince which has been stolen by a jealous witch who was our co-villain in the previous game. The gameplay is easy, but engaging and fun. Along the way, you get a somewhat cute furby-like helper named Romas who translates the animal language. It was an interesting concept in my opinion, but it eventually got annoying as he was used to often. The graphics are clear, as usual, and they're still the same ERS art style, which, in my opinion, is the only "same old, same old" in this game. As mentioned before, the cute factor has gone noticeably down, as we see a bleeding bear and some ugly termites, and a neutral 3D owl, which was stunning. Overall, this is a fun and appealing game, but it is very easy. Rated 4 out of 5 by esteroverde from Good But Not Exciting As always, this series, Spirits of Mystyery is very well developed but I was a little disappointed that there wasn't more to it. Although the graphics, sounds effects and HOS were all good, the overall game time just wasn't that exciting. You get to collect pearls with which you are able to "fix up" your tower and you collect a furry friend who interprets what the animals and insects want to say to you. You also earn a few achievements but mostly for not using hints in HOS or skipping puzzles. Not so sure this will be worth the CE price for me but definitely not a bad game. Rated 3 out of 5 by medeva from No extra game or interesting bonus with the collector edition I liked the game but I'm very disapointed the collector edition doesn't provide any extra game and I don't care for wallpapers or extras like that so I think it was not worth the price. Rated 3 out of 5 by Darklldo from A bit like treacle The graphics are fine, the story line is easy to follow and the little critters along the way are fun, BUT it is a bit like wading through treacle to get into the mood of the story It seems, in some parts to be very disconnected and I found I needed help to work out what should happen next. This is wearing and somewhat irritating, but I will continue with the game because of all the other good factors. Rated 3 out of 5 by jocasta1 from Typical fairy tale, dicey voiceovers! I was really underwhelmed by this one, maybe I'm just tired of fairy tale based games. I didn't get through the demo, as I found the voice overs by the 'nanny' so awful that it took me right out of the game, particularly when her accent changed! I'll recommend it for fairy tale fans, as it seemed well produced, but this 'princess' baled on it! Rated 3 out of 5 by tesamoine from There must be a better way to propose Ahhh, so Prince Phillip shoots his silver arrow and the window it flies into, that girl becomes his bride. How romantic. Not. Here we have another offering from ERS. This, to me, means, same premise, same music, same gameplay, same old same old. Yes, the visuals are nice. The very few HOS I encountered are either place the item back into the HOS or sillhouette. The puzzles were on the easy side. There is a jump map with pictures. This works early on in the game, but becomes confusing later, especially when playing the game over a few days, remembering what each room looks like. The hint and skip recharged quickly although I didn't need them. I did not look at the SG. You can collect pearls to clean up and improve your "tower". You get a little helper who can interpret the thoughts of other animals. Things went downhill after that lol. The game play was simplistic. Not much thinking is required. The story line was the same defeat the evil woman in black to win the prince back. I will admit fairy tale games are not my thing. However, some are interesting if they are challenging. This one no. It is standard ERS formula through and through. I don't recommend.